Like so many readers, I have succumbed to the Scandinavian fiction craze. I’ve read Stieg Larsson, Jo Nesbø, and Hermann Koch. There’s a darkness in their novels, an acknowledgment of baser impulses and unrepentant evil that chills your heart and fascinates you at the same time. When I saw The Shapeshifters on the new shelf at my library, I was intrigued. A novel by the Swedish author Stefan Spjut, it was not a thriller or mystery, but a fantasy story that pulls from folktales of trolls and the stallo. Like the other Scandinavian authors, Spjut’s novel is dark and grim. The novel starts in 1978 with the abduction of a young boy. His mother believes he was carried off by a giant, and there is some evidence of large foot prints to support her story. But her tale is discounted, and the boy stays lost. Spjut continues his story in the present, telling the story from multiple points of view. The main character, Susso, is a young woman who runs a website devoted to troll lore and present day troll hunting. Her family have a connection to trolls through her grandfather, a photographer who captured a troll on camera years before. Susso is contacted by Edit, a woman who keeps seeing an odd little man outside her home. Susso sets up a motion trigger camera, capturing an image of the strange person. When Edit’s grandson goes missing, the odd little man is a suspect. The story is also told from the point of view of Seved, a man in a mysterious domestic setup. He’s a caretaker – or is he the grown son in a family farm? You gradually realize that Seved and his associates are caring for shapeshifters, who they keep in a squalid house on their property. The shapeshifters, or trolls, have animal forms that they generally remain in – mice, hares, foxes, and weasels. These creatures are not happy, fairy tale creatures. They stink, they are ominous, and they sneak inside a human’s head. Susso feels responsible for the missing boy, and with her boyfriend and mother, journeys across Sweden, following any sort of lead they can find regarding trolls. Seved also undergoes a journey, but his is emotional, leading him towards decisions and choices that will effect everyone in the compound. Susso and Seved finally meet at the climax of the novel. 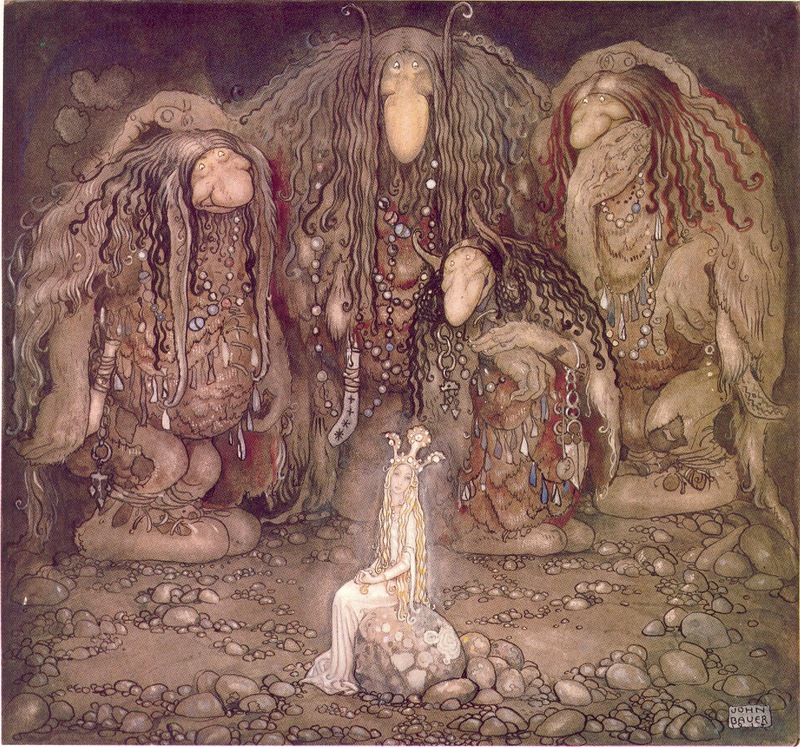 This book introduced me to a number of Swedish personalities, including Sven Jerring, a radio host, and John Bauer (whose art is shown above), an illustrator famous for his depictions of trolls and creatures of Scandinavian mythology. The Shapeshifters does not end tidily. The trolls are still out there, although their numbers have been reduced. Seved is in custody. Susso publicly renounces her belief in trolls, and shuts down her website. Many characters are damaged, permanently. 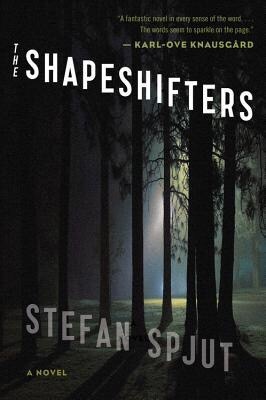 The Shapeshifters is a dark and creepy tale of the supernatural that is also grounded in our modern world, making it even more frightening.